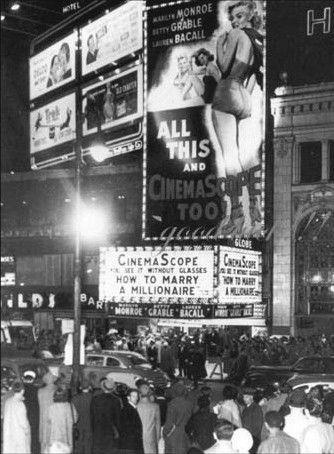 Back in the glory days, Times Square had more movie theaters than there were peanuts in a peanut factory. The bright lights of the theaters were part of what lit up the Great White Way. Today, there is not one movie theater to be found in the Broadway area. Some of those now long gone palaces were huge like the Roxy that had close to 6,000 seats. 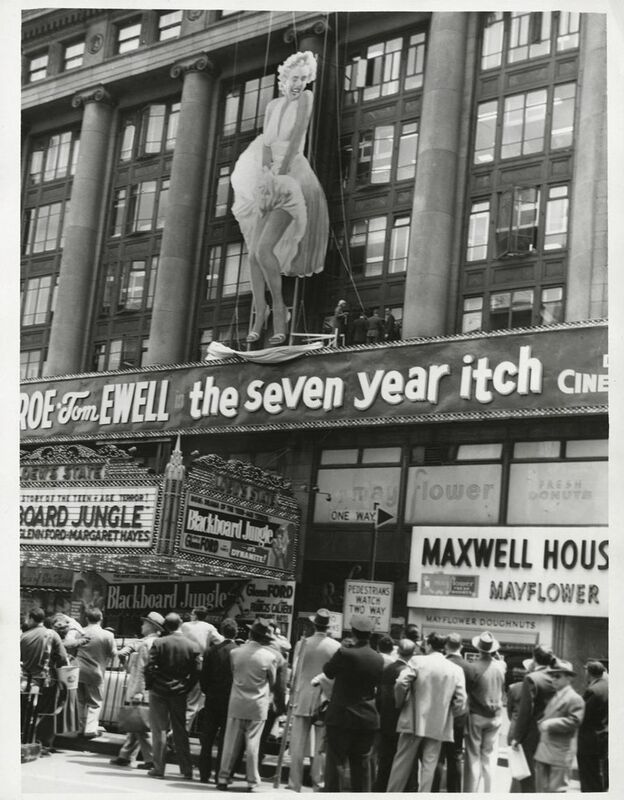 As big as the theaters were, the signs advertising the movies were even bigger. Sometimes they were ever better than or at least as interesting as the movies themselves. This is one of my favorites. I love the way the film’s title is bookended by the binding of two books. The Billy Wilder film, based on Charles R. Jackson’s best selling novel, was considered strong stuff at the time. The theater here is the Rivoli. 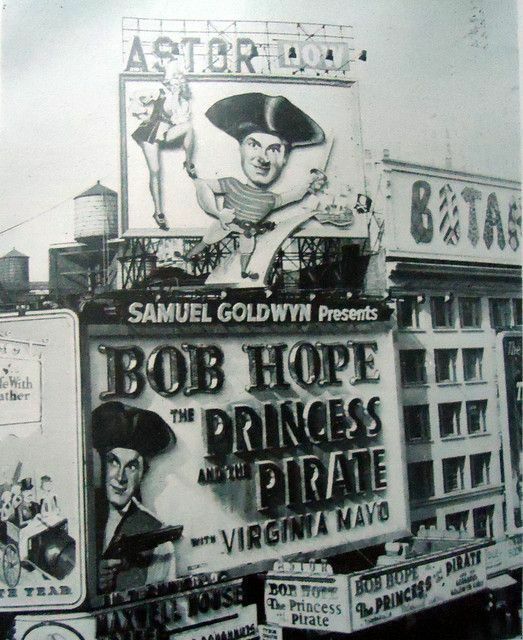 Here Bob Hope towers over Times Square during the showing of one of his best films, The Princess and the Pirate, at the Astor theater. Another Astor theater showcase. This time with the master of suspense Alfred Hitchcock in the director’s chair. 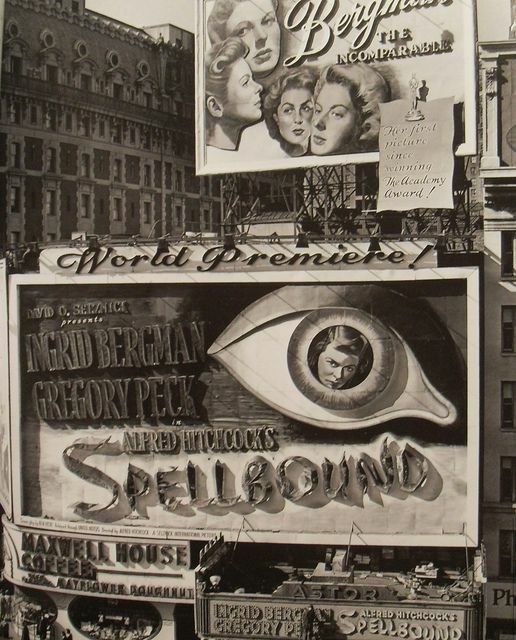 Spellbound opened in early November of 1945. The above four billboards were huge and as you can tell, continuously used for close to twenty years at least. The theater originally opened (1910) as a burlesque theater called the Columbia. In 1928, it was converted to a movie house and renamed the Mayfair by new owners. At one time owned and operated by RKO and later by Loew’s. 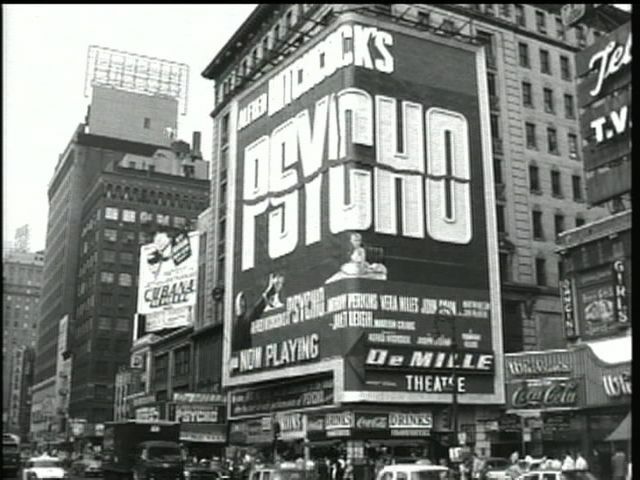 By the time Alfred Hitchcock’s Psycho played, the theater was renamed, by the latest owners, the DeMille. Later on, the theater was poorly transformed into a triplex and renamed the Mark I, II, III and still again after another owner the Embassy 2,3,4. If you are wondering what happened to Embassy 1, it was located just down the block. Controversial at the time was this thumb sucking child like pose of Carroll Baker in Baby Doll. 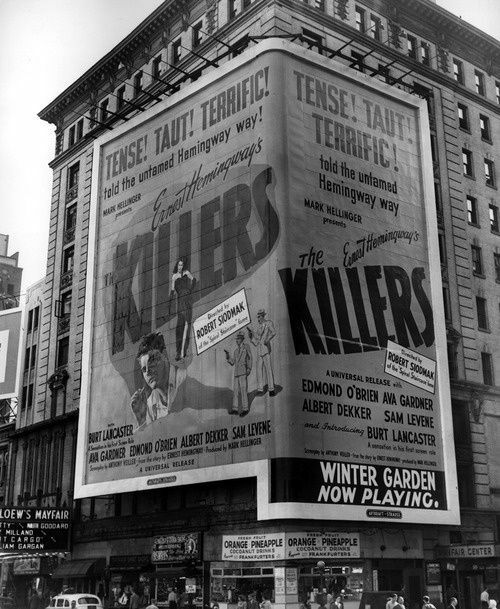 Released in 1956, the billboard was a block long. The Astor and Victoria are the theaters below. 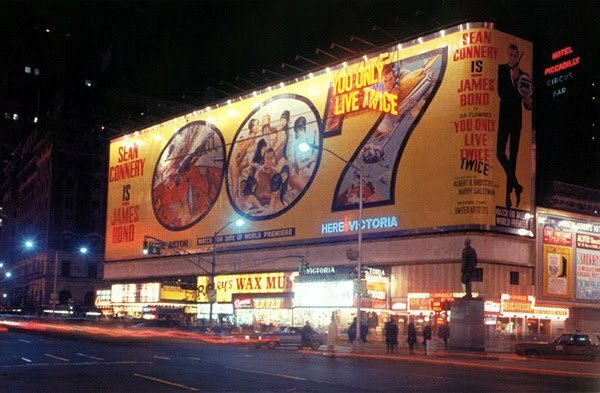 Some eleven years later the 1967 James Bond film You Only Live Twice took over the same space. 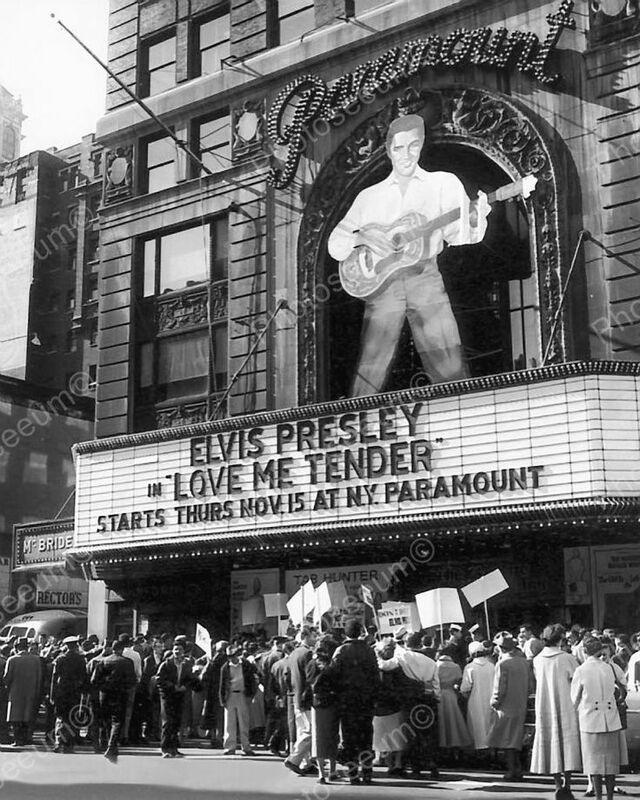 A large cutout of Elvis Presley graced Times Square in 1956 when Elvis’ first film Love Me Tender premiered. 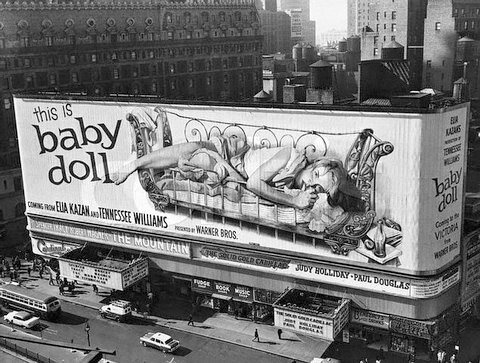 However, the Queen of Billboards was who else but Marilyn Monroe. The Globe theater with How to Marry a Millionaire. 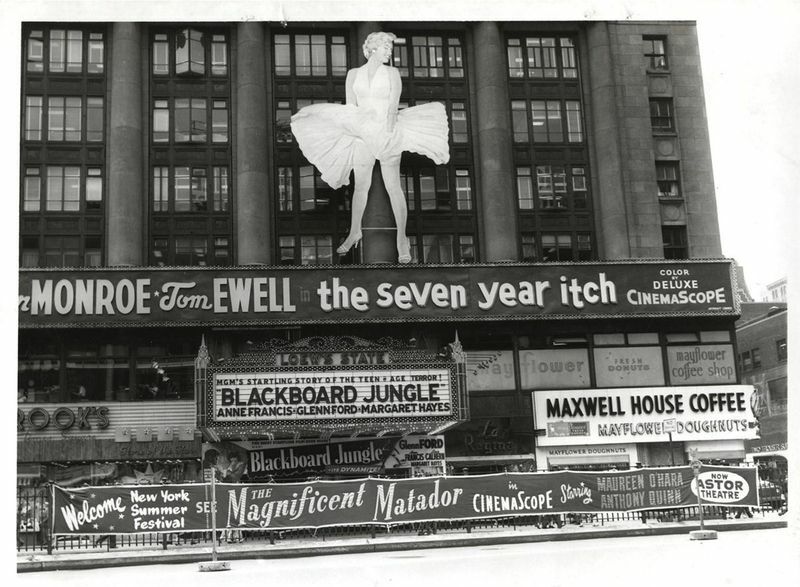 Monroe’s skirt raising pose for The Seven Year Itch is arguably the most famous of all billboards even helping in ending MM’s marriage to New York Yankee great Joe DiMaggio. 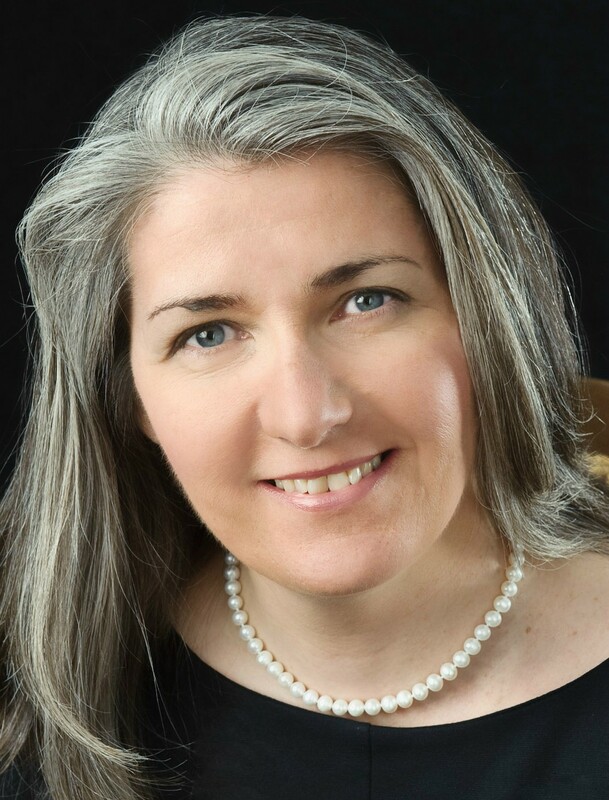 This entry was posted in Uncategorized and tagged Billboards, Broadway, posters, Times Square. 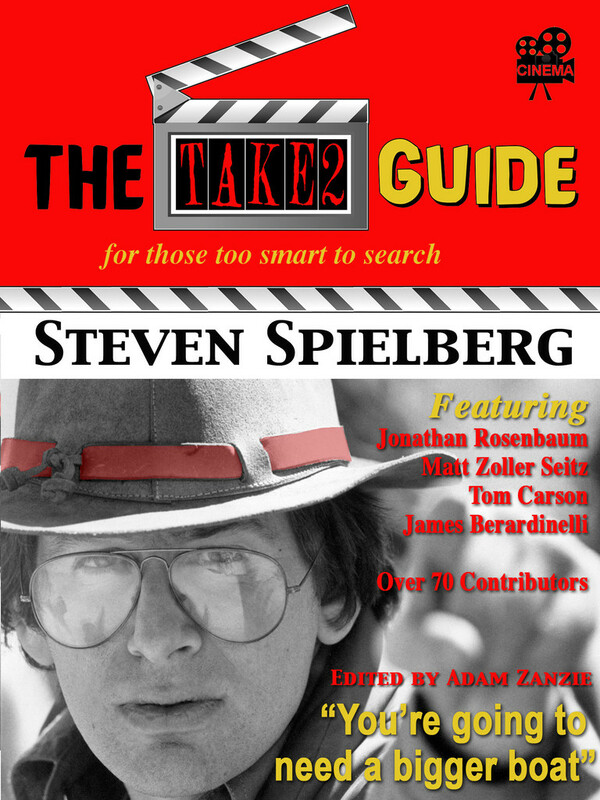 Fun reading! I love those pictures. They really knew how to advertise back then. They did Roy. Not these days. Thanks! Pardon the obvious pun, but the Spellbound one is spellbinding. It is David. The Lost Weekend and Spellbound are my two favorites here. Great images, and nice to see them in situ. 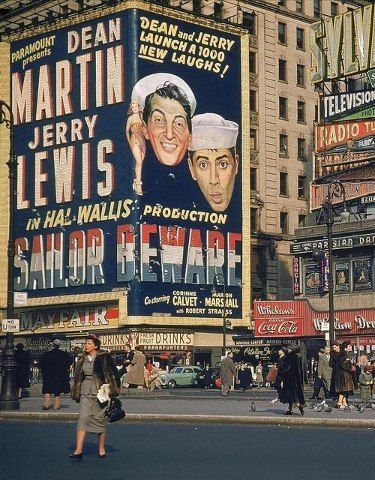 They don’t even make movie posters like the used to! Today, it is all pretty generic. No lobby cards that use to fill up the windows of all theaters. Sad. John, this is one of the most spectacular collections of photos I have ever seen here! You have an incredible collection! It is indeed telling that there isn’t a single movie theater near Times Square (the closest are the two multiplexes on 42nd Street near the Port Authority). 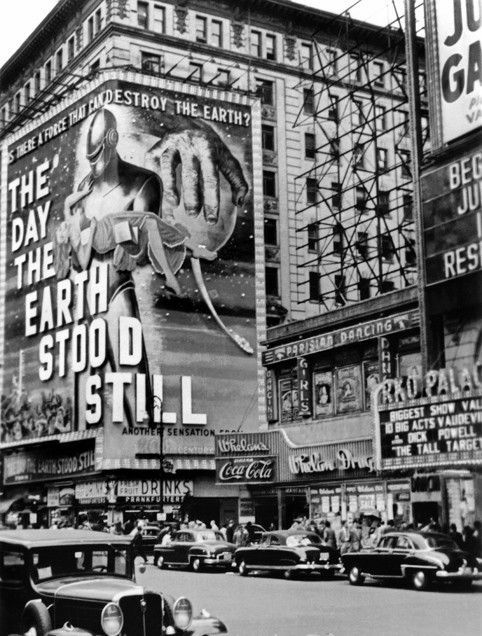 It is indeed amazing to consoder the role of signs in those days. 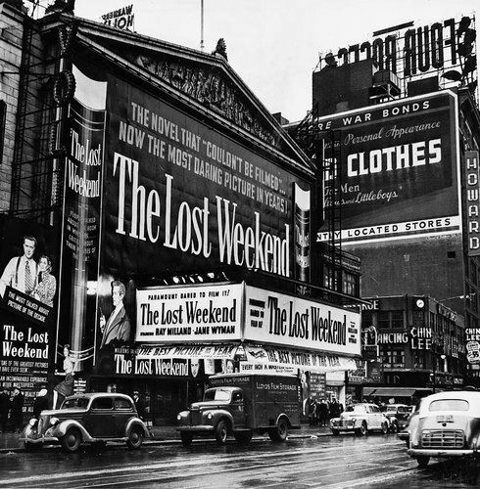 I also love THE LOST WEEKEND placard!